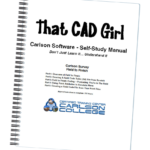 That CAD Girl Self Study Manuals are the perfect complement to your purchase of Carlson Software. 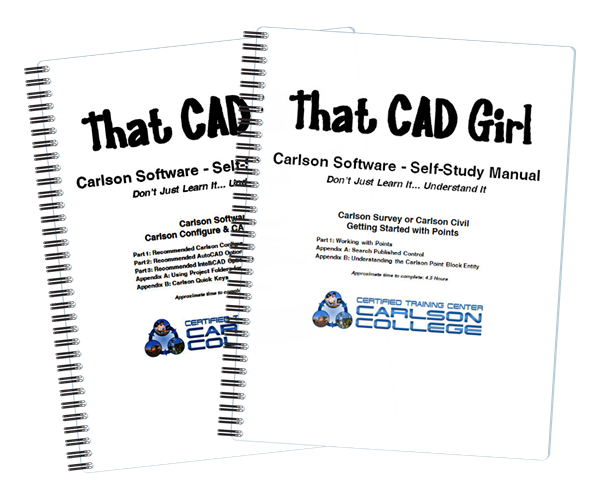 The books were written when 2013 software was current but still work well with more current versions of the software. 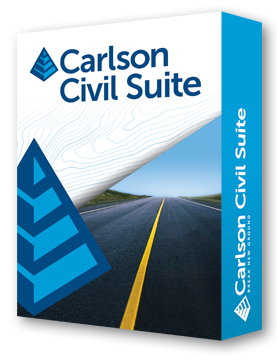 This book can be purchased, here, separately or as a 2-book bundle with the Configuration & Overview of Points Manual. 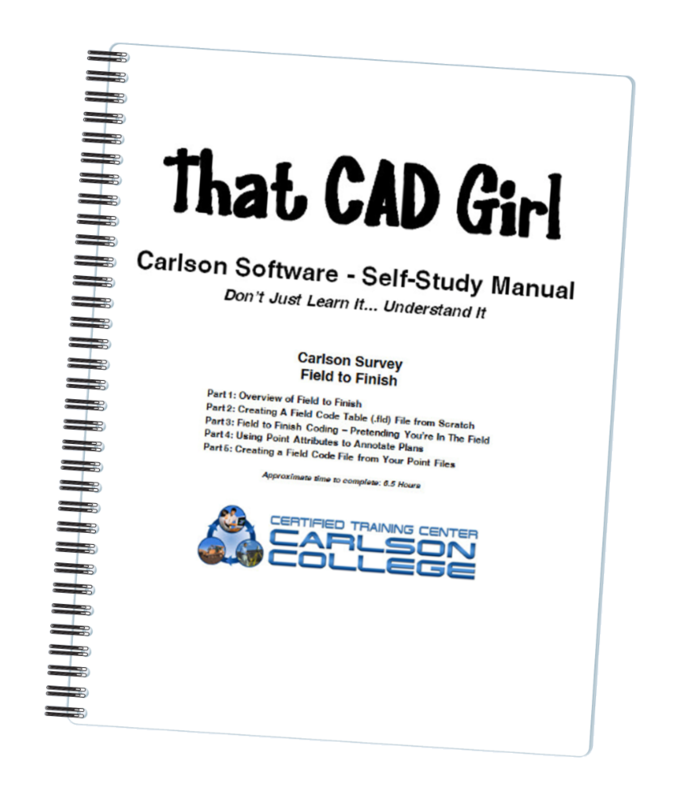 More than just tutorials, these training books cover particular topics in Carlson Software in great detail – so much so that prior knowledge of AutoCAD or IntelliCAD is not required. This is the next best thing to customized Carlson Software training and you can work at your own pace. 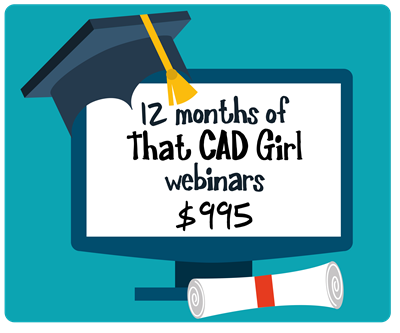 This lesson starts by loading a configuration file that contains recommended settings and options for the program. We will also open a few toolbars that may be needed for the exercises. 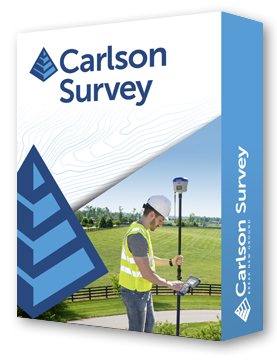 Part 1 provides an overview of the Field to Finish feature of Carlson® Survey. We will start a new project and new drawing from a text/ascii file. 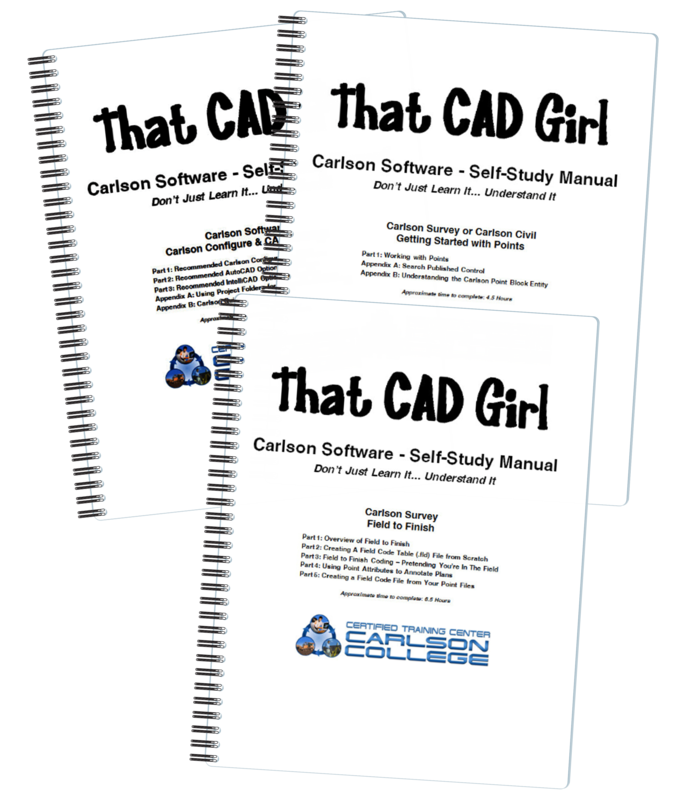 The text file is very similar to the one used in Lesson 2a – Getting Started with Points except that it has been slightly modified to include special linework coding. We will use Field to Finish so that the points, symbols and linework are automatically generated and drawn on their proper Layers. Field to Finish will also create Point Groups and tag some points as Non‐Surface so they can be easily excluded when we build a surface model. In Part 2 we will create a new Field to Finish Code Table that includes a variety of Codes that can be used to create Symbols, 3d and 2d Linework. In Part 4 we will use the Separate Attribute Layers functionality within Field to Finish so that Symbols and Descriptions for points we process can be used to label features on printed plans. In Part 5 we will go through the steps required take some of your existing point files to make a new Field to Finish Code Table for your company. This is a physical shipment that will ship via UPS. Shipment includes printed manual(s) and a USB jump drive. All sales are final. Other Terms and Conditions of the sale can be found here.